I have downloaded the windows 8 release preview now show me the steps to install windows 8 release preview as I am doing it for the first time and I am little worried about the stored data in my hard drive and I don’t want to lose them please show me the steps in details to install it without doing any harm in any data. Re: How can I install windows 8 release preview after downloading? STEP 1: Before Installing Windows 8, be sure that you have 1 PC, Internet Connection, Windows 7, 1 Blank DVD and 1 DVD Burner. Note down the "Product Key" before you Start the Installation. STEP 2: Create Partition. For this Go To Start Menu > Right Click on Computer and Select "Manage" to Open the Computer Management Window. 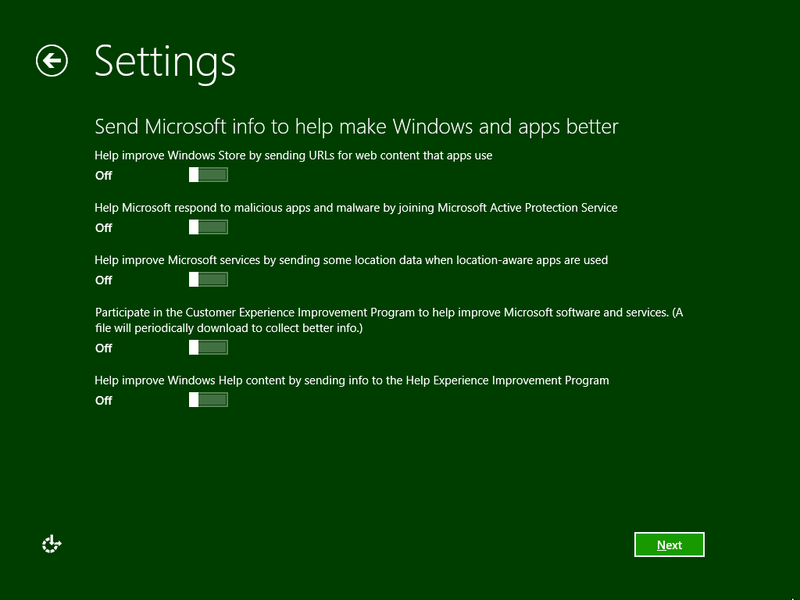 STEP 3: Now Install by Clicking on the Windows 8 Image File ".iso", next to your Language and PC Architecture. STEP 4: Put the Disc which has Windows 8 image in the in your Computer Drive. Restart the System and Press any Key to force that the installation should take from the CD inserted in the Computer Drive. STEP 5: Select your Language and Press "Next". Enter the Product Key and Click "Next". STEP 6: Select the Drive and Partition where you want to Install Windows 8. STEP 7: Installation Process begins and Computer Reboots Automatically. STEP 8: It's Time to Personalization of the Start Screen. Choose the name for your System. STEP 9: Sign in to your System. If you want to make sure your current environment can handle Windows 8, you may want to download a setup file that includes Microsoft's Upgrade Assistant. This tool can scan your current OS and applications to make sure they're Windows 8-ready and choose the correct version of the Release Preview if you want to make sure your current environment can handle Windows 8, you may want to download a setup file that includes Microsoft's Upgrade Assistant. This tool can scan your current OS and applications to make sure they're Windows 8-ready and choose the correct version of the Release Preview . Download and run the Windows8-ReleasePreview-UpgradeAssistant.exe from Microsoft's Web site (www.microsoft.com) . The tool will first check to see which applications and hardware devices are compatible with Windows 8 and display a report on its findings. The process than shows you the product key needed to install the Windows 8 Release Preview before downloading the OS itself. 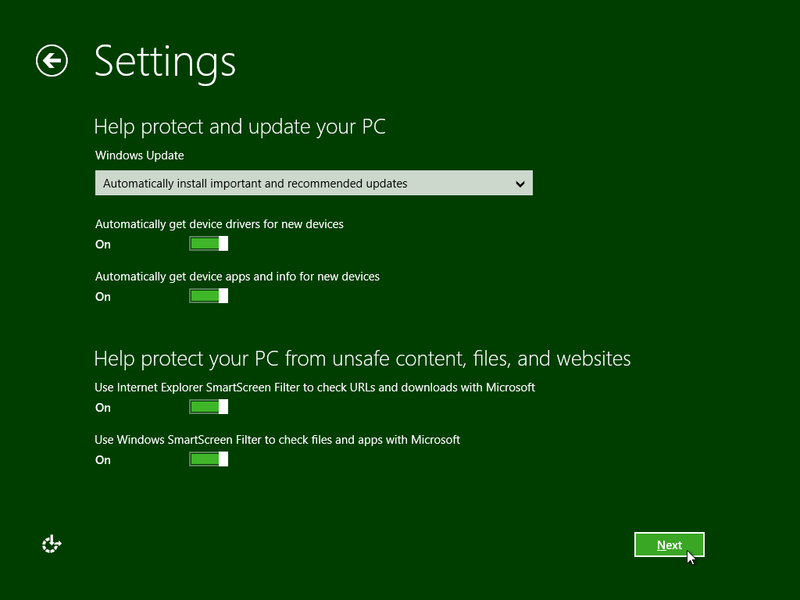 After Windows 8 has been downloaded via the Upgrade Assistant, Microsoft displays a screen offering you three choices: 1) Install now, which will upgrade your current OS to the Windows 8 RP; 2) Install by creating media, which will create an ISO file; or 3) Install later from your desktop, which will create a shortcut on your desktop to install the OS. Make sure you take a backup of all your important data before you begin. There is very little chance of something going wrong but if it does, you should be prepared. For whichever installation method you choose, you must have the minimum storage space ( 16GB or 20GB as specified above) available for your Windows 8 installation. Keep all your drivers handy, especially if you are installing Windows 8 on a laptop or PC which requires proprietary drivers. At the very least, keep a copy of your LAN and/or Wi-Fi drivers depending on how you access the Internet. 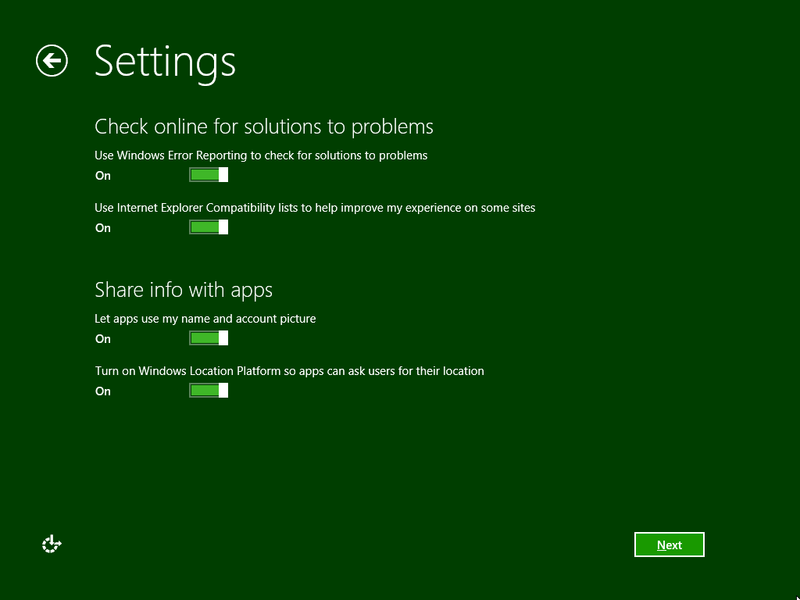 Windows 8 is available as a Web installer or an ISO from here. The Consumer Preview has been bundled with our June issue DVD and the Release Preview has been bundled with the July issue. Download the Windows 8 ISO. Download the Windows 7 USB/DVD tool from here. Install the Windows 7 USB/DVD tool using default options. Hit “Browse”, navigate to your Windows 8 (or Windows 7) iso file and select it. Insert a USB drive (at least 4GB) or a blank DVD. Select “USB device” or “DVD” depending on what method of installation you want. If you selected “USB device”, make sure you choose the right one as the drive will be formatted completely. You will get two prompts confirming that you want to erase the data on the drive. Your drive will be formatted and the contents of the Windows 8 ISO will be transferred to it. When booting from the Windows 8 installation media, first choose the language, format, etc. that you want to use. The defaults are fine for normal users. Enter the product key in the box that pops up. Product keys are specified above, make sure you choose the right one for the version of Windows that you have and hit “Next”. For the installation type, choose “Custom: Install Windows only (advanced)”. Choose the drive or partition that you want to install Windows 8 on, note that the drive or partition you selected will be completely formatted and all data on it will be lost and if you do not want that, exit the installation right now (by clicking on the red “x' button) and clear up a partition/drive for your installation. You can create a new partition by selecting the drive you want partitioned and hit “New”. Specify a size and hit “Apply”. Make sure that the partition size is at least that which Microsoft recommended (16GB or 20GB) as specified in the system requirements above. Click “Next”. The installation process will begin. Wait for it to finish, depending on your PC, this should take anywhere between 15minutes to an hour. The PC will restart automatically after the above step, you can hit “Restart now” at this point if you can't wait. Your PC (or VM) will reboot and Windows will start getting your devices ready. This should only take a few minutes. Now you start Personalizing your Windows 8 installation. Choose a theme colour and enter a name for your PC (Digit-PC in this case) and click “Next”. You are now at the Settings screen, you can click on “Use express settings” if you don't want to mess with the settings or “Customize” if you so desire. If you clicked customize, you are presented with the following options. Next you have to sign in to your PC. Enter an email ID if you want or create a new account or use a local account. To create a local account, click on “Sign in without a Microsoft account”. To sign in directly just enter your email ID and click “Next”. Windows 8 will sync all your email and calender details, etc. with your Windows installation. A local account will only store the settings locally and you will not be able to access your email and calender via the Metro apps unless you configure them later. To create a local account, just enter your User name and password at the “Sign in to your PC screen” and click “Finish”. 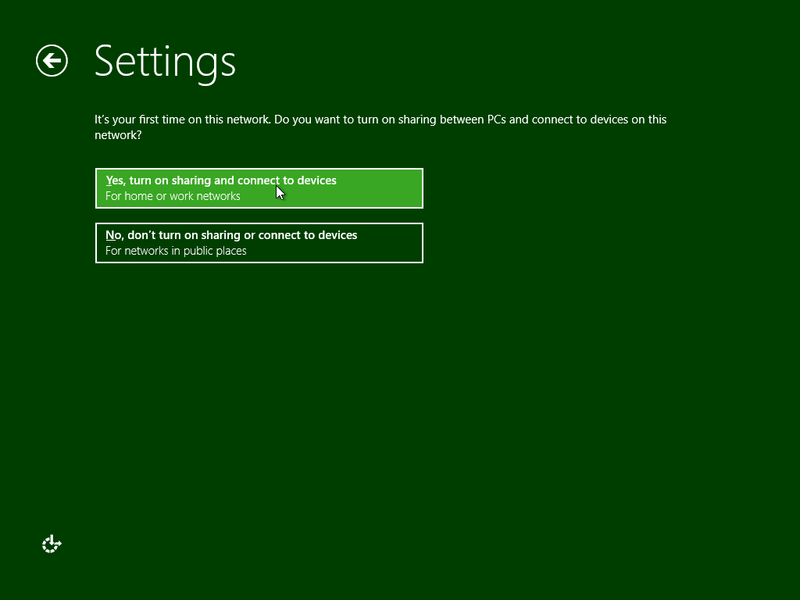 Windows will finalize your settings and then boot you into the Start screen of Windows 8. That's it! Your Windows 8 installation is ready. visit this site to see the procedure . First open Control Panel and open up the Administrative Tools screen. There, double-click on the Computer Management option. When that window appears, look for the "Disk Management" submenu under "Storage" on the left-hand sidebar. Click that. You'll see your hard drive on the screen: Your primary drive should already be split into a "System Reserved" volume and your primary C:\ volume. Right-click on the C:\ volume and select the "Shrink Volume" option, and then reduce the size of your volume by at least 16 gigabytes for a 32-bit installation of Windows 8 or 20 gigabytes for a 64-bit installation. You'll now see a new, monochromatic, "unallocated" hunk of storage appear next to your C:\ volume in the graphical display. Right-click on it, select the New Simple Volume option, and click on the Next button until you reach the screen for assigning letters and drive paths. Feel free to assign your new volume whatever drive letter you most prefer. Click Next one more time and give your volume a witty name; now click Next (and then Finish) to quick-format the volume as an NTFS partition. Next, burn the Windows 8 image to a disc using a freeware app like Imgburn or CDBurnerXP, then reboot your PC, access your BIOS setup menu (typically by pressing escape or another specified key while booting up), and change the boot order so your PC will boot from your optical drive instead of your primary hard drive when you restart your computer. Once your PC boots from the Windows 8 DVD, just install Windows 8 to your new partition. As you are new to windows 8, so I am sending here a link which explain you all the things from start to end with baby steps.